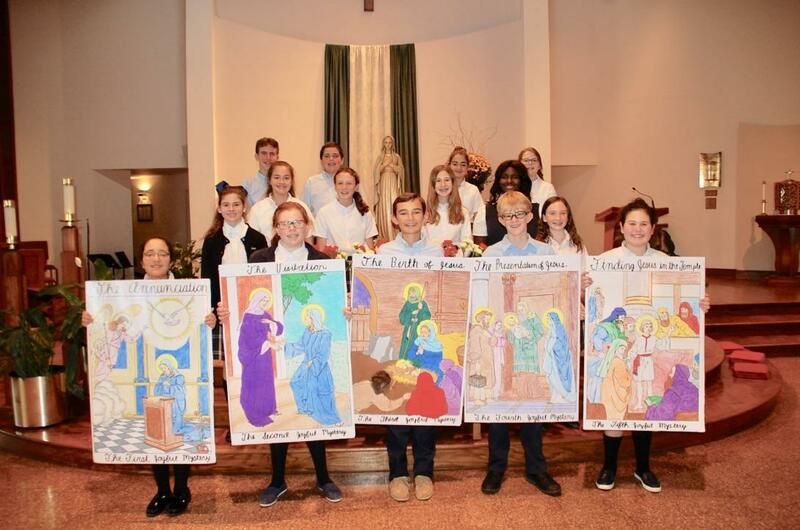 The Spiritual Life Committee’s mission is to deepen the Catholic faith of students and parents, alike, while building our relationship with God and others within our world. Additionally, the committee promotes school-wide service projects, as well as faith enrichment for parents and students alike. Weekly Holy Rosary - Every Friday in the chapel at 7:30 am. No experience necessary. Please join us when you can! Joint event for SJS families and St. Joseph Parishioners. Click here to participate. April 30 - Chaplet of the Divine Mercy – recitation by the student body in the Church. May 6 - First Communion Breakfast after the 9 AM Mass with the 2nd and 6th grade Prayer Partners.